Bluetooth Low Energy (BLE) beacons are providing new challenges for mobile app developers and businesses. Over the next couple of weeks, we’ll be taking a look at how various industry verticals such as retail, tourism, etc can use beacon technology to enhance customer experiences. These tiny devices have been talked about so much that the year 2014 is being touted as the “Year of the beacons”.Though the first few beacon applications are largely related to retail, beacon applications are soon becoming more sophisticated with the ability to improve business processes, reduce costs, and even drive more revenue. In this post, we will discuss in detail about how beacons can revolutionize the experience museums offer. According to experts, museums will be one of the biggest beneficiaries of this new technology to communicate and engage with people. a) Contextual information: Beacons can be used to trigger proximity-based, hyper-targeted updates to visitors as they move around the museum. For instance, a museum’s app can alert visitors to an upcoming lecture as they pass by the auditorium. Messages triggered can be to divulge more details about an exhibit a visitor is looking at, or to inform visitors about other facilities, such as cafeteria, porchways or the history of the museum itself. You can also send recommendations based on the exhibits and artifacts that a visitor has expressed interest in during their previous visits. Additionally, if a visitor spends a considerable amount of time near an exhibit, (commonly referred to as ‘Dwell time’) you can recommend similar artifacts that can be purchased at the museum shop. b) Analytics: Beacons can be used for gathering data to gain insights on visitor behaviour and use it to improve exhibit locations and museum layouts to enhance the overall visitor experience. They can also be used to measure dwell times, measuring how much time visitors spend at different locations of the museum, or which exhibits are most popular. You can understand if an exhibit is popular by itself or if it is because of its placement at a particular location. A visitors’ entire visit can be tracked, providing invaluable data about how long they stayed, which sections they visited, and countless other behavior metrics regarding their visit such as time spent at each section, interests, artifact purchase history etc. c) Venue check-in (entry tickets): By placing beacons at entryways, museums can get rid of manual entry tickets altogether. When visitors walk inside the museum door, they are recognized through the app installed in their smartphone (each phone has a unique id). With a simple POS system at the entryway, they can pay for their visit hands free, without pulling out their smartphone or wallet. This allows visitors to check in seamlessly and eliminates the hassle of waiting in long queues to purchase an entry ticket. Pass holders can be recognized and immediately admitted without having to wait, providing elevated convenience to regular visitors. The same system can also be implemented in museum gift shops or cafés. d) Self-guided tours: Beacons allow museums to offer their visitors streamlined self-guided tours. By placing beacons around the museum, approaching visitors can receive detailed information directly on their mobile home screens. Visitors can proceed at their own pace, spending more time near exhibits most appealing to them, thus eliminating the need to follow strict walking guidelines. A location-based mobile app puts visitors in the driver’s seat, providing a rich experience much like a personal tour guide in the palm of their hands. This not only cuts down on museum resources, but also provides a vibrant medium of interaction for users. Exhibits can be complemented with photos, information about the creator, descriptions, additional videos, and audio streamed where it is most relevant to the visitor. e) Educational excursions: The technology provides all the tools needed for world-class learning experiences both for students and art lovers. School initiated field trips can be enhanced through rich interaction via tablet devices. Students can follow directional cues provided on screen, take notes or sketch with whiteboard features, interact and collaborate with their fellow students through notes, and chat. 1. Content annotation: where beacons (in combination with a wireless / cellular network) can allow visitors to leave comments attached to items, browseable by other visitors in the vicinity. 2. Digital “like” or “tweet”: beacons could also enable users to digitally “like” or “tweet” something that they liked in a museum, right then and there. This in turn works as a great advertising medium for museums. 3. Bookmark to view later: if there’s an exhibit that a visitor found really interesting, he could bookmark it to browse later. 4. Digital signage: push personalized relevant content or offers to visitors as they engage with a digital signage. The offer can be displayed on screen and sent to their mobile device. These messages can be specifically tailored to the individual passerby, based on their visitation, purchase history, or personal preferences set in the app. Very broadly, the various benefits of using beacons can be broken into accessibility and interactivity. 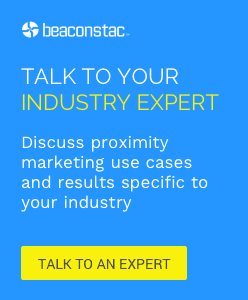 The whole point of using beacons is to make the consumer experience interesting. It is quite evident that in case of museums, the opportunities for beacon implementation are limitless. Apart from the pointers mentioned above, museums can add twists to existing gamification elements, like scavenger hunts,etc. Adding features such as Passbook integration in apps would mean that coupons and rewards could be issued instantly. Additionally, apps can be rolled out in a number of different languages, a boon for museums that attract large numbers of international visitors. The Neon Muzeum, and grounds of the Soho Factory where it is located, is home to more than 70 neon signs, over 700 letterforms, archival materials such as blueprints and old photographs. Poland’s first neon museum is dedicated to the documentation and preservation of Poland’s cold war era neon signs. The museum’s App uses iBeacons to micro locate visitors and give extra content such as: historical information about the neons in their collection, audio tours by the directors, and lots of fun facts and figures. a) Users are given more details about an artwork they are viewing. b) Interesting games can be played through the museum’s app. c) All the beacons together in the museum form an indoor GPS system, with which visitors can follow a thematic route through the Rubens House. d) At every painting, visitors can look at an x-ray scan, zoom in on details, or be asked to answer questions. The Groninger Museum is the first museum in the Netherlands where beacons have been implemented. The technology is available at the exhibition “The Collection”, from March 29, 2014 onwards. It is used to send interactive content on artworks to visitors using the app. Visitors who do not have a compatible smartphone or tablet can rent these at the museum, so that they have access to interactive media. Thanks to this application, the visitor has access to additional video and audio clips, background information and detailed photos of the artworks. A mix of interactive media excites, amazes and inspires a unique experience. Attendees were required to download the Sweeper app. Using beacons, the Sweeper app detected transmitters hidden behind the exhibits. When a person came too close to a transmitter, it acted as a landmine and detonated, filling the user’s headphones with a jarring explosion followed by an audio testimony of someone’s actual experience. This was inarguably the most unique use of beacons one has seen so far. Wales’ National Slate Museum in Snowdonia was the first national museum in the world to install beacons, that enable visitors to discover more about collections as they walk around a site. Through the programme, visitors receive information and picture archives from the National Slate Museum on their mobile devices as they go around the site, discovering and interacting with exhibits. Nearly 25 iBeacons have been placed around the museum at Llanberis with existing digital content re-purposed through the use of “People’s Collection Wales” and the Locly platform to provide a media rich visitor experience. Thus, with beacons, users regain a sense of place, allowing them to feel more engaged and more attached to the physical space. 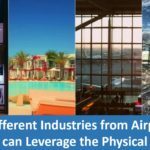 Companies regain physical knowledge about their users and employees, allowing them to modify digital experiences and physical spaces based on the context of the user’s identity and location. The net result of a good beacon strategy is a win for the business and a win for the user. We hope to see many more successful implementations of beacons in everyday scenarios!